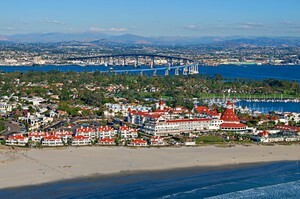 The Enchanted Island - the inhabitants of San Diego called Coronado. In 1602 priest Sebastian Vizcaino named the island of Los Cuatro Coronados (four coronas) in honor of the four martyrs. 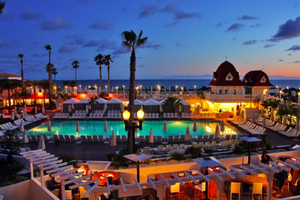 Hotel Del Coronado has been visited by many famous guests, including American presidents, the Duke and Duchess of Windsor and other "royal" persons. Here came the inspiration for Frank Baum and he wrote the book "The Wizard of Oz". This hotel is located on the shore of the Pacific Ocean, overlooks the beach and its red roofs are visible from afar. In 1958, the Coronado Hotel became the site of the movie “Some Like It Hot” starring the legendary actress Marilyn Monroe. However, according to the scenario, the action took place in the fictitious hotel "Seminole-Ritz", located not in California, but in Miami. Coronado Bridge is also a tourist attraction. This bridge was built in 1969. The bridge is 11,179-foot-long (3,407 m or 2.1 mi). There are many beautiful historic houses, several parks. There is a Golf Club with an excellent view, Tennis Club, Yacht Club, many shops and fine restaurants. To live in such a wonderful place is a pleasure. 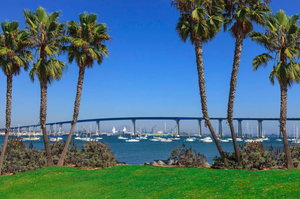 If you want to buy a property in Coronado now or plan in the future, I will help you to find a good home and I have a wealth of interesting and timely information about the real estate market in San Diego county. 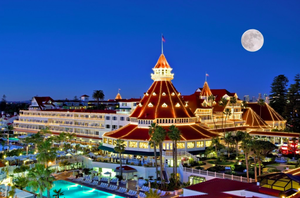 The main attraction of the island is Hotel Del Coronado. This hotel is located on the shore of the Pacific Ocean, overlooks the beach and its red roofs are visible from afar. In 1920 at the hotel stayed Edward, Prince of Wales (in the future King Edward VIII). It is a rumor that there he met his future wife Wallis Simpson. Because of the intention to get marry he refused the throne. Among the US presidents who visited the hotel were Benjamin Harrison, William Howard Taft, Franklin Delano Roosevelt, Lyndon Johnson, Richard Nixon, Gerald Ford, Jimmy Carter, Ronald Reagan, George Bush Sr., Bill Clinton, George W. Bush and Barack Obama. ​In 1958, the Coronado Hotel became the site of the movie “Some Like It Hot” starring the legendary actress Marilyn Monroe. However, according to the scenario, the action took place in the fictitious hotel "Seminole-Ritz", located not in California, but in Miami. ​You can see huge large sand dunes on the beach, which, at first glance look scattered. But from space we can see word CORONADO made of these sand dunes. Coronado is home for the training center of the US naval special forces "SEALS " and Naval Air Station of Coronado. 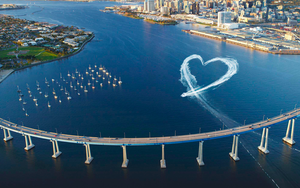 There are three ways to come to the Island: the Coronado Bridge, the highway and a ferry. Coronado is a well-kept, quiet and beautiful island. There are many beautiful historic houses, several parks. There is a Golf Club with an excellent view, Tennis Club, Yacht Club, many shops and fine restaurants. To live in such a wonderful place is a pleasure. 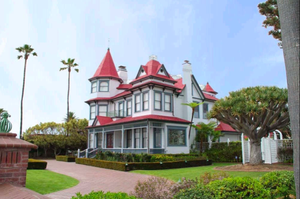 ​If you want to buy a property in Coronado now or plan in the future, I will help you to find a good home and I have a wealth of interesting and timely information about the real estate market in San Diego county.